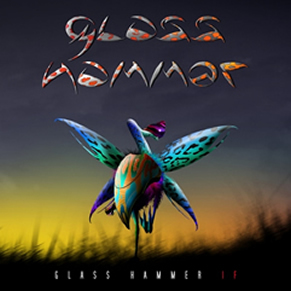 Glass Hammer is back with a brand new lineup and an album of epic-length prog tracks. 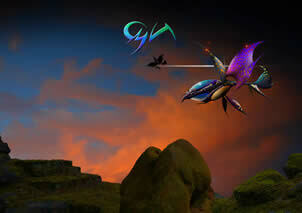 The 2010 release “IF” marks the band’s return to classic symphonic-progressive rock; an album sure to please fans of the group’s earlier releases Chronometree, Lex Rex and The Inconsolable Secret. Pipe organs, Hammond solos, Moogs, Mellotrons – all the trademark sounds are back in place. founders Steve Babb and Fred Schendel have “hit the reset button” and taken their music to an entirely new level. The sixty-six minute opus features six tracks, culminating in the twenty-four minute long “If The Sun”, mastering by the legendary Bob Katz of Digital Domain, and stunning art-work by German designer Tom Kuhn. Pre-order IF to recieve an autographed copy. © 2005 and 2010 by Sound Resources. All rights reserved.